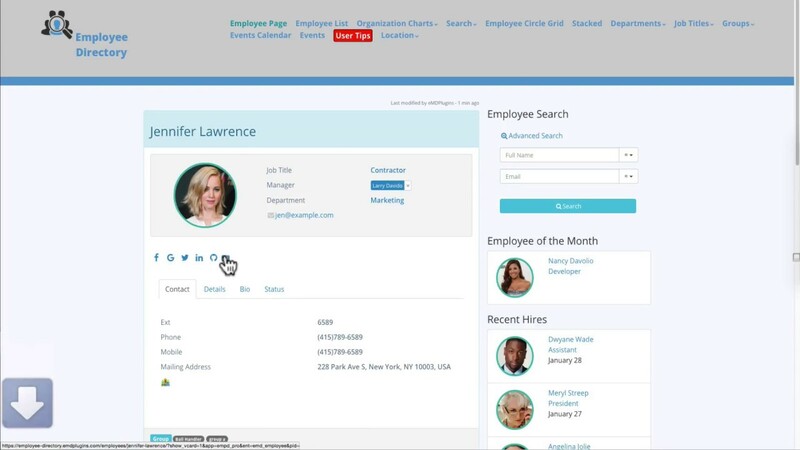 Employee Directory vCard Addon allows to connect your employees and customers by sharing contact information as vCards. vCard is a file format standard for electronic business cards. vCard Addon provides a vCard icon next to social icons when activated. vCard information includes employee name, photo, address, email,phone, social profile links and more. Once vCard is downloaded, it can be imported to many vCard compatible mobile and web apps.